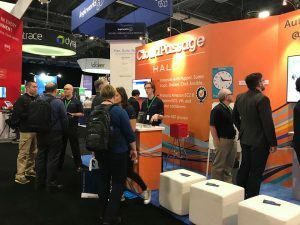 May 16, 2018 - CloudPassage, a company securing the critical infrastructure of many of the leading global finance, insurance, media, e-commerce, high-tech service providers, transportation and hospitality companies, has announced the beta release of its newest product built on their Halo platform, code-name: Project Cielo. It would offer complete visibility and insights into the resources in use across all cloud service providers' (CSPs') accounts and services within a single interface. May 16, 2018 - Lance Crosby’s StackPath Acquires Server Density Merge - StackPath (stackpath.com), a provider of secured Internet services including CDN, WAF and DDoS mitigation built "at the cloud's edge", has announced the acquisition of Server Density (serverdensity.com) – a provider of proactive infrastructure monitoring for cloud, servers, and websites. Founded by SoftLayer founder Lance Crosby, StackPath's services would enable developers at organizations of any size to build protection and performance into any cloud-based solution – from SaaS to web publishing, gaming, media streaming and beyond. May 15, 2018 - Seaborn Networks Hires David Zimmer As Its Chief Sales Officer - Developer-owner-operator of subsea fiber optic cable systems, Seaborn (seabornnetworks.com) Networks, has announced the appointment of David Zimmer as its Chief Sales Officer (CSO). David (‘Dave') Zimmer will be responsible for all of Seaborn's direct sales, channel strategies and inside sales. He is also being added to Seaborn's board of directors. May 15, 2018 - Virtustream Adds SaaS Support to its Risk Management & Continuous Cloud Compliance Monitoring Software - Virtustream, a provider of enterprise-grade cloud solutions and a Dell Technologies business, has unveiled their "next generation" of Virtustream Viewtrust (virtustream.com) – its risk management and continuous compliance monitoring solution. With this new release, Virtustream would evolve its ability to extend secured compliance and risk management capabilities to private, public and hybrid cloud environments. A variety of global enterprises and major public sector agencies would already rely on Virtustream Viewtrust to protect their systems and customers from persistent and evolving cyber threats. Official Responses: 0), a carrier-neutral colocation provider with data centers located in Columbus, Dallas, Jacksonville, Lakeland, Minneapolis, Montreal, New Jersey, Toronto, and Vancouver, has added Lisa Guillaume (linkedin.com) to its executive team as Chief Marketing Officer. As Cologix's CMO, Guillaume will lead the global product and marketing strategy for Cologix. At the same time, the company has made 10,000 sq. ft. of customizable colocation space available for its customers at 151 Front Street in Toronto, Canada. May 16, 2018 - #Verizon Standardizes on AWS Cloud, Migrates Over 1,000 Applications and Database Systems to #AWS - Data center services provider Verizon (verizon.com) Communications (NYSE: VZ), a company that generated $126 billion in 2017 revenues, has decided to standardize its IT infrastructure on AWS (aws.amazon.com) Cloud. Verizon is migrating over 1,000 business-critical applications and database backend systems to AWS Cloud, several of which also include the migration of production databases to Amazon Aurora – AWS' relational database engine. May 17, 2018 - European Colocation Company #Interxion Expands Its Data Center Footprint in Marseille, Opens MRS2 - Interxion, a European provider of carrier and cloud-neutral colocation services with 50 data centers located in 11 European countries, has officially opened the first phase of MRS2 – Interxion's second data center in Marseille, France. Less than four years after acquiring its first data center in Marseille, Interxion is continuing to expand its presence in the southern French city. Located at the Port of Marseille-Fos, MRS2 would meet the growing demand from international connectivity and content providers, and cloud platforms wanting to use Marseille as a hub to deliver their services and applications to Europe and further afield to Africa, the Middle East, and Asia.